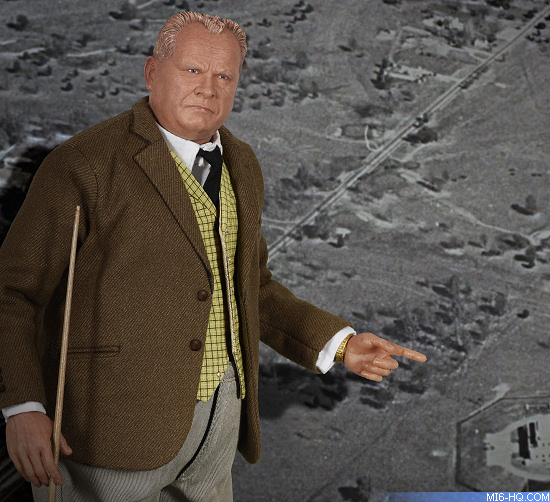 How did you land the James Bond deal? It took a while. Bond is a great license and we actually approached IMG (EON’s licensing agent) at a trade show a few years ago (Brand Licensing) to show an interest in the license and we managed to get our product in front of EON. Although they liked our product, EON were not ready to try figural product again at that time. We tried again over a year later and eventually got a call to say that they were ready to talk. I think in the end it helps that we are a British company with other British bands in our portfolio, so adding one of the most iconic British brands was the ideal fit. 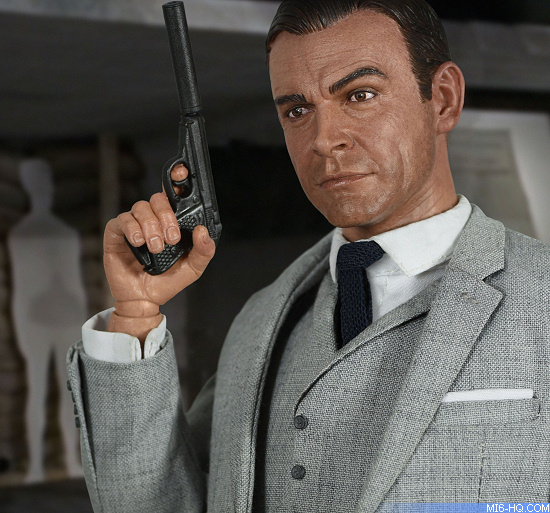 It has been several years since the Bond series was created in collectable figures, what has changed over the last decade? Yes, the Bond figures have been made before and they were good at the time. 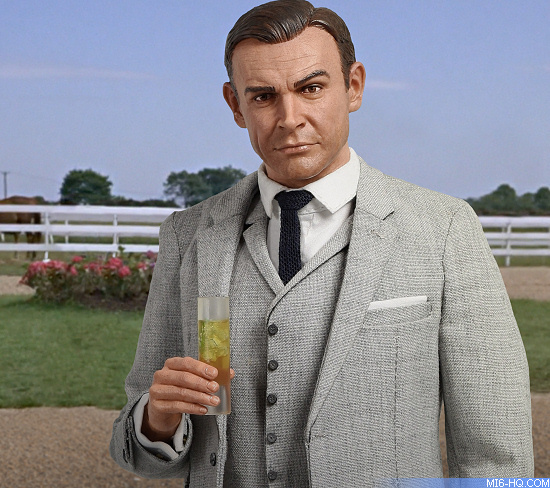 However, the level of detail achievable in 1/6 scale figures and expected by customers has moved on considerably. The advances in the quality of 3D printing have allowed the use of digital sculpting. When using this method you are able to get more realistic skin textures and wrinkles. Previously the quality of 3D prints meant that you would have visible contours on the surface, which would require sanding/cleaning up and therefore you would lose surface texture. Because of this, head sculpts were generally produced by hand to allow the detail to be retained and not sanded away. Also, with the costumes much more attention to detail it taken to make the figures more accurate. In the development lifecycle of the figures, what is usually the most difficult aspect? I think the most difficult part is trying to get the costumes correct. You can often scale down the sculpt of something correctly (unless it is very small), but when it comes to making the costumes you can’t get 1:6 scale material! When tailoring the costumes the problem areas tend to be the parts where there are multiple thicknesses of material, so any extra thickness on the material is amplified by the multiple layers. We have to find the thinnest materials we can that will replicate the actual material as closely as possible, sometimes having to print patterns onto it to get the look correct. 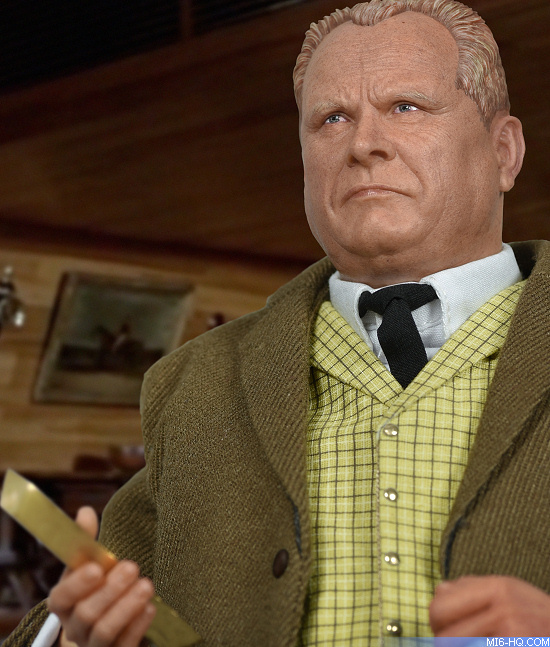 Working on a reduced scale must present unique challenges when creating the master figure. Can you tell us how you have overcome these issues? To be honest, we now tend to make everything digitally and then 3D print, as it is much easier to get the fine details more accurate. You can sculpt on a computer without any real scale, so you can zoom into fine details to get them correct. You do have to make compromises though on the smaller things, thinking about minimum thicknesses etc, and limitations of the various types of manufacturing. When you sit down to sculpt a figure what reference materials do you use? We tend to get as much reference as we can from various sources including the licensor, sometimes this can be quite good if a modern actor, but more often than not, we have to rely on internet searches for images of the character or accessory. Also screen grabs from the show/film if we can get them. We try to get images from as many angles as possible so you can cross reference the sculpt with them, to ensure it is the correct shape. Which has been the most rewarding figure you have worked on of the three? 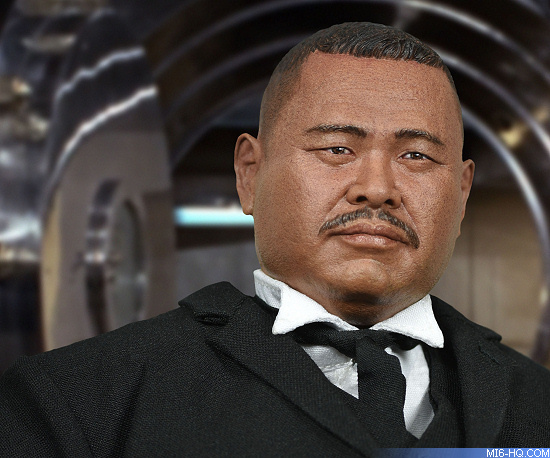 For me personally, I think it is the James Bond or Oddjob figure, but it varies for different members of the team. Getting to the final prototype is a real team effort as there are so many parts that go into them and we all have our favourite accessories and characters. How did you work to capture the pose for each character? Did you start with sketch or 3D models? As these are action figures, made using a body with over 30 points of articulation, most poses can be achieved. We then just tend to choose a number of poses that emulate scenes or iconic poses from the film for the photography. What has been the most complex costume you've created? All the costumes have their individual challenges and, generally, we will work through around four rounds of revisions before we even submit anything to the licensors, then there may be a couple of minor tweaks required before approval. This is all at the prototype stage and we then have more QC at the pre-production stage to ensure the figures can be as accurate as possible. 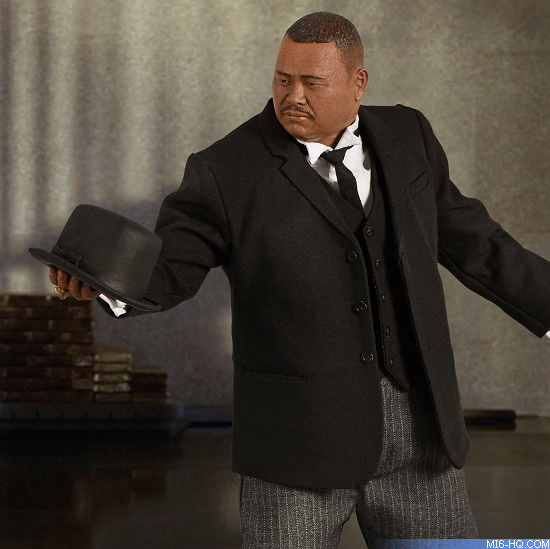 Throughout a Bond film, there are many costume changes. How do you decide which character look to use? Generally, it will be the most used/prominent/popular/iconic costume for the specific character that we will pick, but also we will try to think about a whole collection and try to offer a number of types of costumes throughout the range. Once chosen we have the factories search for similar materials from the local markets, sometimes, this has to be a different material that is thinner and replicates the look of the actual material, because the weave may look out of scale if the actual material was used. If we can get access to original costumes, then we take reference photography and measurements from those. How long does the design life cycle for costumes take? Does this vary depending upon the individual figures? Depending on the complexity of the costumes it can take 4-6 months when you take into account sourcing of materials and the various rounds of amends. Sometimes you may pick a material for the correct look, but then once you start to tailor the costume you may find that it doesn’t hang correctly or may not fold in a way that is accurate enough. If this happens then you may need to source or even print another material to get the correct look. It is a lengthy process, but we would prefer to know that we have done everything we can to be as accurate as possible, rather than settling for the first sample put in front of us.